Manx Radio, the Isle of Man’s National Broadcaster has confirmed that they will once again be broadcasting from the Billown Course for all three road races taking place during 2013 as Official Broadcast Partner. The Blackford Financial Services Pre-TT Classic Road Races and the Metzeler Post-TT Road Races will see Sports Editor, Tim Glover broadcasting from what has been called ‘the best commentary position anywhere’ the Start - Finish Line and will be assisted at Cross Four Ways by Roy Moore. Chris Kinley will be providing the immediate post race interviews prior to the podium presentations at the conclusion of each race. The Manx Radio team will return in July for the Steam Packet Southern 100 International Road Races and will once again see Maurice Mawdsley situated on the Start Line describing the action, as he has been doing since 1988. Roy Moore will be in his usual spot at Cross Four Ways and Chris Kinley will be bringing the winners reactions from the Podium area. The Blackford Financial Services Pre-TT Classic Road Races take place on Friday, Saturday and Monday 24th, 25th & 27th May with the Metzeler Post-TT Road Races being run on Saturday 8th June. 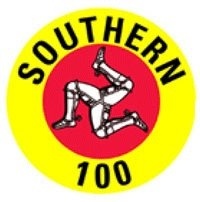 The Steam Packet Southern 100 International Road Races will be held on Monday, Tuesday, Wednesday and Thursday 8th, 9th, 10th & 11th July 2013.